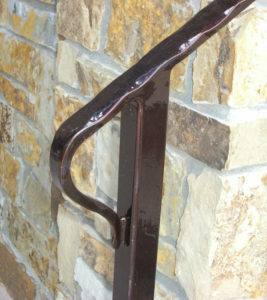 This elegant Boulder home has one of our most unique handrails. 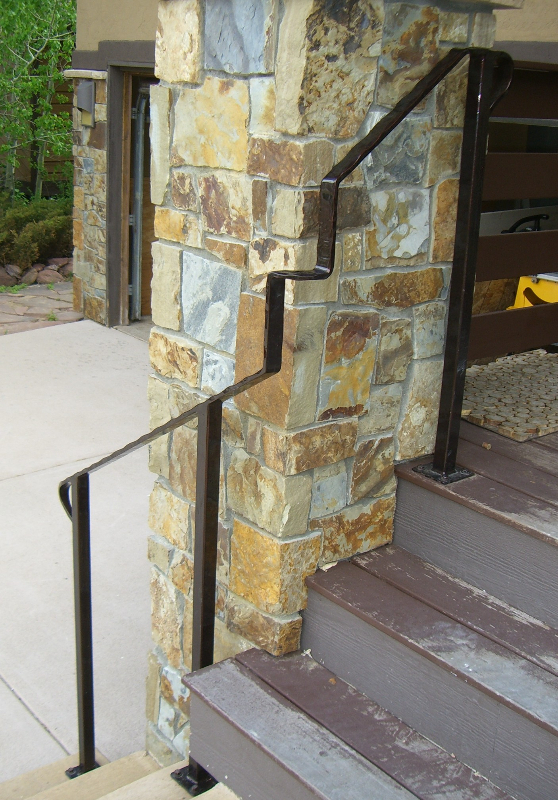 Powder coated in an antique bronze, the color compliments the beauty of the natural rock siding, and the design accommodates the unique entryway stairs. Scalloped with hand forging along the edges and the “lamb’s tongue” at the end, this handrail is really a piece of functional art.